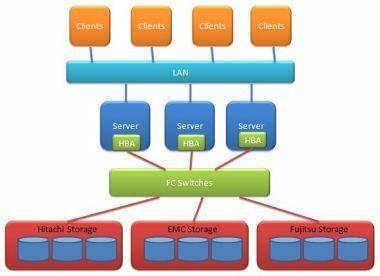 Exalticor provides a thorough analysis of storage, storage area network, and data security within the data center. Our Storage Area Networks Consulting Solutions include the following core components: needs analyses for future storage area network design; assessment of current SAN; storage area network assessments to analyze your requirements against available options; and planning to provide technology roadmaps, budget, and timelines for future design and implementation. Our teams work with the latest design tools and perform a vendor agnostic consultative program to focus upon your key requirements – independent of particular manufacturer products. After careful analysis for current and future needs, Exalticor performs intensive site surveys looking at current SAN storage architectures within the enterprise, as well as short and long-term needs.